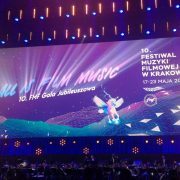 If you have been in recent years to some of the major European film music festivals held in Prague, Krakow, Tenerife, Malaga, Ghent, Vienna, etc…, surely her face will be familiar to you. 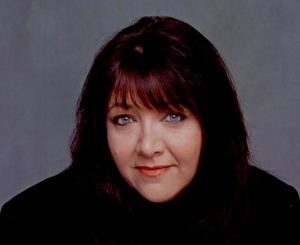 She is Doreen Ringer-Ross, vice president of the film, television and visual media department of BMI, an organization in charge of managing the performing rights of composers/singers/songwriters in the United States. 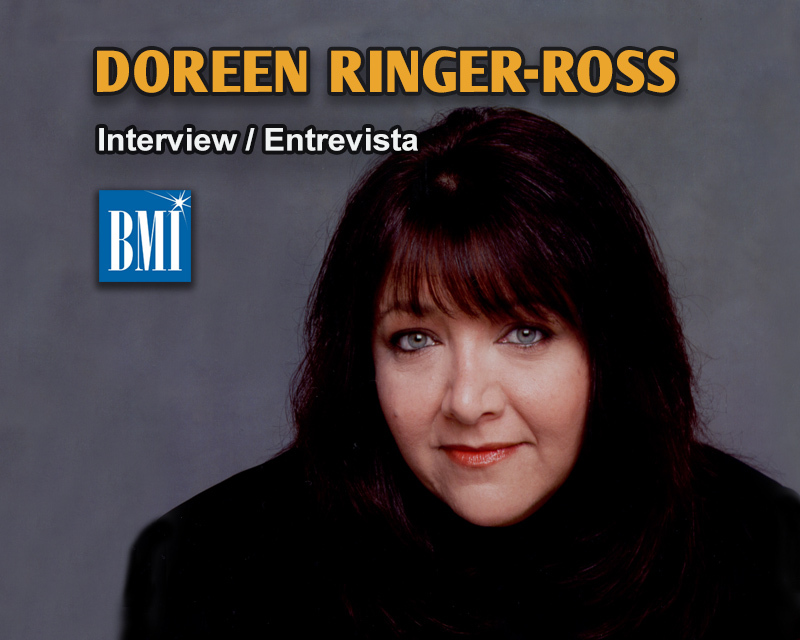 In those festivals we have seen her participating in conferences and master classes, attending concerts, or accompanying composers among many other things, but… Who is Doreen Ringer-Ross? What does she do? What are her concerns? How did she get into the world of film and television music? 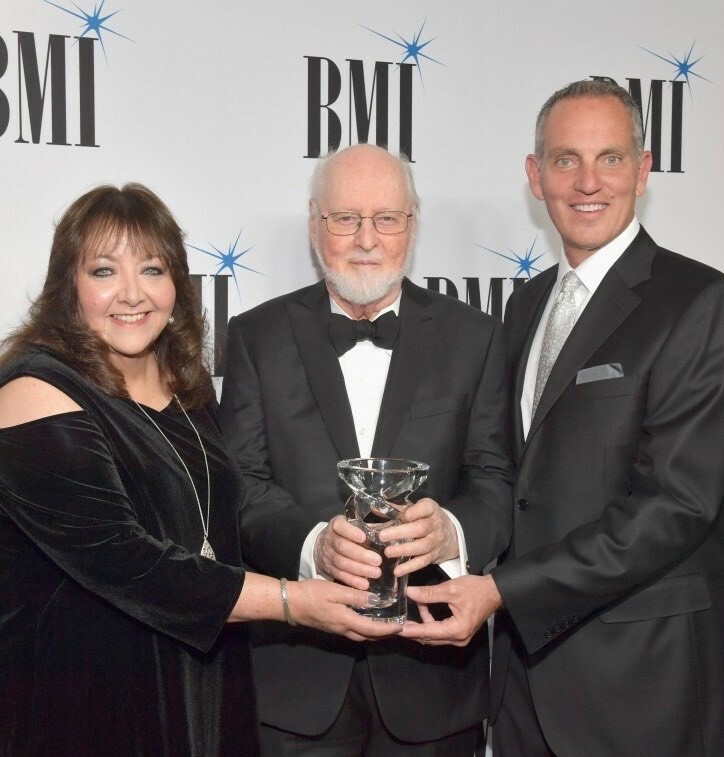 What changes has she witnessed in her 33-year-long career at BMI? In the interview that you can find below, Doreen talked exclusively with Gorka Oteiza for SoundTrackFest at the last edition of the Tenerife International Film Music Festival (FIMUCITÉ), where she answered those questions and many more, such as her participation in the 2nd film music festival of Úbeda with Basil Poledouris and Carol Goldsmith, the Sundance composers lab promoted annually by BMI, or how she was responsible for the organization of the first edition of the John Williams Award, which was inaugurated last year by handing it to John Williams himself. Hello Doreen, thank you for being here for SoundTrackFest! Let’s go with the first question, a basic one for somebody who doesn’t know you… Could you introduce yourself? Who is Doreen Ringer-Ross and what do you do? In this context, I work at BMI, which is a performing rights organization in the United States, and I run the film and TV and visual media department for them. What that means really, is that I am responsible for maintaining market share in that genre, and growing and developing new talent in that area as well. When you say growing and developing new talent you mean you are helping composers? I mean I have a background in artist development that came from years of working in the record business, where they actually had departments called artist development. And that meant that often we would be between the company and the artists and their management, in terms of strategizing and making plans to create identities for these artists, and figure out the best way to, on an ongoing basis, promote them and grow their audience. 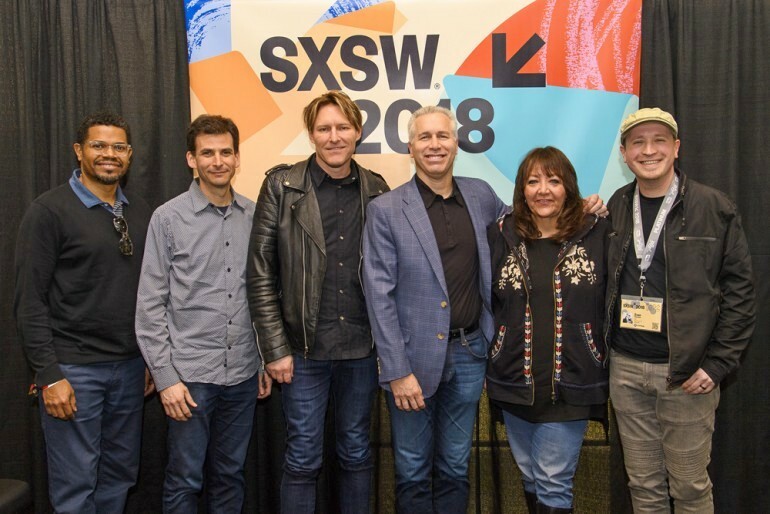 So I took those strategies from the record business when I came to work at BMI, and tried to find equivalent platforms that would work for composers who work in film and TV. It’s not the same as putting a band on tour and working it that way, but there is a kind of arc to a career. 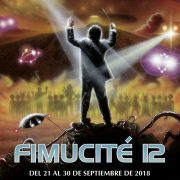 So, if you’re a neophyte composer and you’re coming out of school, and you’ve finally scored your first independent feature and that feature ends up accepted into a major independent film festival, for instance, that becomes a key moment to call attention to the fact that you’ve done this. BMI would then step in and do whatever it could to try to shine a light on our composers, who are having that moment of growth. So it just kind of goes from there. Yes, but it isn’t one size fits all. I work very individually. So for me, it’s all about really getting to know who a composer is and who they are as a human being. What their dreams are, what they think they like, what their sensibilities are, and then figuring out how to make myself or how to make the company useful to them, as they go along in their path. So it isn’t like, “Come have a meeting and I’ll show you our list of stuff we do for people”. There’s no menu, we make it up as we go. There are certain things that seem to work across the board. 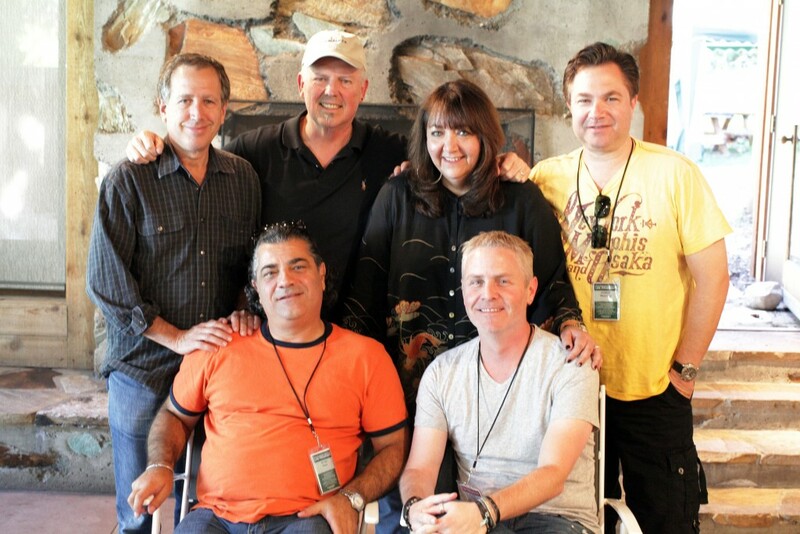 We’ve been involved with the Sundance Institute since I came on board many years ago. 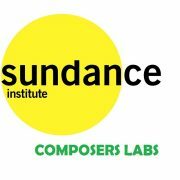 They have a composer lab, a filmmaker lab, a screenwriter’s lab and so on, and we’ve always been involved with their composer lab, which becomes an incredible developmental platform. For an artist who’s musical but who doesn’t have the craft and dramatic underscore figured out, that’s a perfect place for them to step on board. Then we’ll use our more developed composers to come back as advisors, who kind of carry them up in that situation. That’s interesting! So they get first-hand experience, and both experienced and new composers can learn from each other. Yes, it all starts to form a community and you start to think about it. Now we’ve been at it long enough where we actually have people that have gone through the labs as fellows, years ago, and are coming back as advisors. 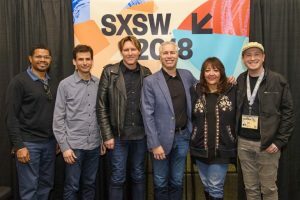 Tyler Bates is a great example of somebody that went through one of those labs years ago, and now he’s king of the world, with the Guardians of the Galaxy, and all the stuff that he’s been doing. He’s been coming back as an advisor, and well, I just signed his daughter, actually (*laughs*). The generations keep going! I remember when she was born, so she has her first album out this week, and it just kind of circles around! Do you search for something in particular? How do you look for talent? What are the characteristics that you think a composer should have? Personally, I always look for authenticity in the voice of an artist. And that doesn’t mean it has to be connected to something hugely successful, it means I have to sense something in that person that feels for real to me. You know, it’s interesting, I’ll go into a lot of the film scoring classes and I’ll guest teach and I always try to turn the tables. I’ll always ask the class to go around the room and have each student tell me three sentences about themselves. Anything they want to say about themselves. And more often than not, the majority of those students will take that opportunity to say “Hello, my name is Tom. I’m from St. Louis, and I want to score movies”. It tells me there’s no spark happening. You know, crack a joke… tell me something… that you like to tap dance. Tell me something with an inflection in your voice, that gives me something to remember you out of that room for. But you know what, I don’t want someone to just to try reading us and then making it up for me. They need to have that instinct. They need to know instinctively that they need to take that moment to try to stand out. They need to have the personality that will stand out. Cause you can’t really learn that. You can hone your craft, you can become more skilled, but in terms of who you are, that’s with you. You arrive with a lot of that, and maybe get the rest of it before you’re five years old, and then you just have to let it out. And hopefully, if you’re talented as an artist, you can let it out artistically. So it’s abstract trying to explain what I look for, but that’s the truth. You know, this is going to sound funny, but I’m not encumbered with understanding how to read music. So all I have are my personal skills. I studied it, but I forgot most of it and the point is I don’t claim to be trained musically at all. I read people though. So what I’ve come to understand is one’s music, one’s art, is really the same as who you are. So I can tell by getting to know you if I’m going to like your music. And really it’s never failed me, where somebody that I found really deep and interesting and funny and compelling, hands me music that’s horrible. It has happened once in a while, okay. (*laughs*) But that was mostly ‘cause what I was reading was somebody who was an actor, and you can’t in your music. But that’s my own technique. I’m sure there are other people that do this kind of work, that do it differently. That’s a fantastic approach. Let’s talk about your pre-BMI days, because you’ve been with BMI since 1985, if I’m not mistaken…. that makes 33 years now. (*laughs*) That’s a long time. But previously you were in the record business. How were those beginnings? 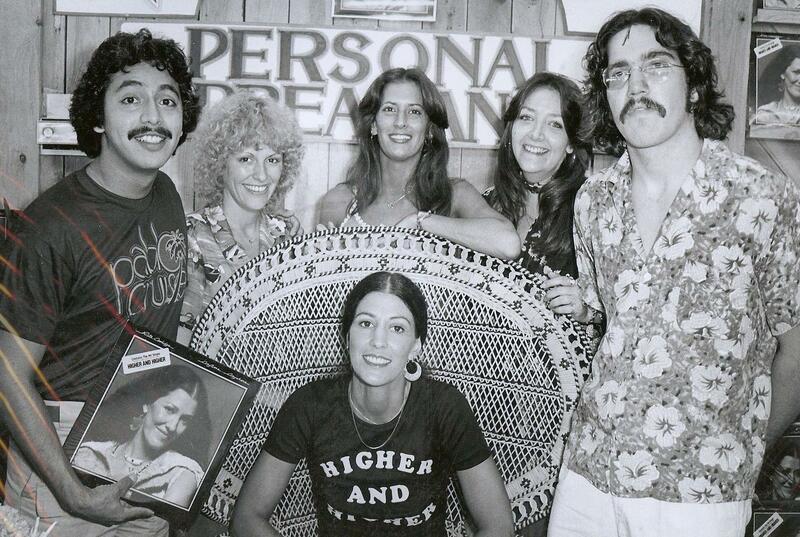 In the beginning, I was hired right out of school by a company called A&M Records. 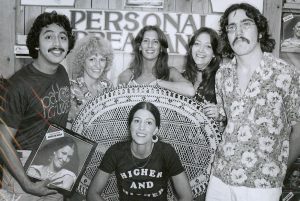 A&M Records was owned by Herb Alpert, he was the A, and Jerry Moss, who was the M, and at the time they had what was considered the ultimate, the utopian independent record label. They had these amazing artists on the label. They hadn’t bought one artist, they developed every one that they had and there were a lot of stars there. And because it was co-owned by an artist, they were very artist-centric. They really treated their talent with a great deal of admiration and respect. So if a record didn’t sell right away, they didn’t give up on the artist and throw them out, they found creative ways to offset their financing and they stuck with them. They were very thorough and very street sensitive, and looking back, people were calling that time at that label Camelot because it really was this amazing feeling of family. It was extraordinary. It was not typically like the rest of the record business. But those A&M days really did set me up for how I held myself in this environment. I actually left the record business after a while, and went into television production, which I loved. Really smart people worked in television, and this was in the early days of reality TV, so it wasn’t sensationalized, it was really doing shows that were trying to make a difference, and help people, and I found all that really interesting. 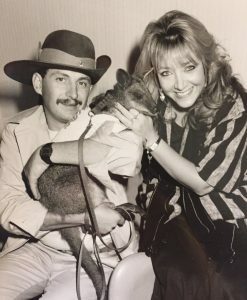 But I also found it very unstable, and I would go work on a show for X number of weeks of production, and then I would wrap the show and get out my credit cards and I’d go globe-trotting, and see all kinds of great places around the world. And then I came back, out of money, and had to go find another job… so that was what I was doing. 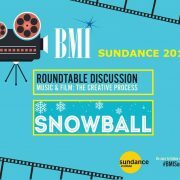 Then BMI called me up and said, “We’re hiring this job that has to do with film and TV composers”. And I really didn’t understand what BMI did, it seemed like much more of a bureaucratic task, something like fixing screwed up royalty statements, which was not what I was ever going to be any good at. So I told them to interview somebody else and gave them a name. And they interviewed him and called me back and said, “We don’t think you really understand what this job is, and you should come talk to us”. I did have friends that worked there and I did really love them, so I thought, okay. They explained to me that it was much more of a relations gig than I ever imagined, which was perfect since that was my background. I wanted to pay off my traveling debts. So I thought, okay fine, whatever this is I’ll take it, I’ll do it for a year, I’ll figure it out before they realize I don’t have a clue what it is. (*laughs*) And then I’ll go back to production and have fun. 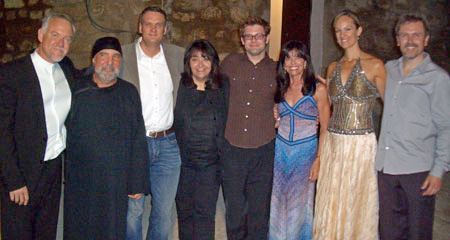 But what I wasn’t expecting was to fall in love with film composers and that whole community of people, which I did. And it’s because of that that my life took the course that it did and I’m sitting here 33 years later and I still adore what I do. It’s interesting because you just said that you fell in love with film composers, but… what do film composers have that other musicians, like rock musicians or pop musicians, don’t have? What’s the difference? I think that in order to do this job, since it’s so collaborative and it’s not an artist working in isolation on their own, you need to have certain personality traits and other kinds of human skills. That makes you sort of a hybrid. Your musical chops have to be amazing, that’s just a given, but you also have to understand dramatic intent. You have to be able to empathize. You have to be able to then turn around and express that musically, that emotion. You have to be able to surf complex production politics… Between the CEOs and the producers and the directors. You have to be able to work with an orchestra. You have to inspire musicians, no matter how little sleep you’ve had. You have to have a sense of humor. You have to be really smart and well-read, and you have to understand storytelling. You have to be the kind of person that a filmmaker will entrust their baby to, and that a filmmaker will enjoy collaborating with. So, I could go on with this list, but the point is when you start to sift out all of those wonderful composers who are great at putting notes on a page, if you don’t possess all of these traits I just described, the ones that do… you know those nuggets that stay in the strainer? They are pretty extraordinary people! And there’s not many of them. They’re all different from each other. You know… if you were to line up Jerry Goldsmith and Danny Elfman and Alan Silvestri, and Tom Newman, you would have wildly different personalities, really. But they all have the characteristics I just described. Just in a different style. And it’s those guys, and I say guys cause ’til now it’s been largely guys, that they made my life take the trajectory that it did. Cause I just love being around them. You’ve been working at BMI for more than 30 years, so I’m sure you’ve witnessed many changes… How has the industry evolved in those 30 years? How have TV or movies changed? What are the main changes that you have seen in the business? It’s like life, its fluid and the landscape is ever-changing. So when I started there was a healthy music business and a healthy record business, and a soundtrack business that was starting to flourish. There was television which was dominated by three networks in the United States, and there were mainstream movies. Then came independent film. Then came cable television. Then the record business started to fall apart, so, you know, those things started to change the landscape of how people worked. There was a point where you had to identify as: I’m a film composer, I’m a television composer, and we lived in a world that was very much about high concept marketing. And if you tried to explain yourself in a too complicated way, people thought you were ill-focused, and confused, and they couldn’t wrap their heads around you. So it was easier. Film composer. Two words. They got it. Now I feel like all of that segregation and all of those labels have sort of dissolved, partially out of necessity and partially because everything is kind of blending into each other anyway. I think especially with the proliferation of digital platforms. There’s all sorts of episodic programming being generated that are themselves a hybrid between film and television, and people making that stuff work in both mediums. There’s not really any clear delineation anymore. So you can be a composer that does those kinds of episodic programs and television, and games, and experimental visual media, and now there’s all of this live performance stuff going on too… But I think that it’s the best time ever right now, because there’re so many creative opportunities to find what best suits you and move forward. The problem is vetting. The problem is where do you go to vet what it is you want to listen to, because you can’t sample the whole world and try to figure that out. So there’s a whole new system, I think, evolving of taste leaders and influencers. That’s why I started out by saying it’s all fluid, and as soon as you print any definition of what you think the world looks like, it will be different between the time you wrote it down and the time somebody reads it. It’s changing. It’s dynamic, which is kind of scary, but it’s kind of exciting as well. Taking about opportunities, there’re genres that are rising fast, like composing for video games. These days composing for video games is getting huge. I read an article not a long time ago that said that 80% of the young people that get into orchestral music, they get through video games. They had never listened to orchestral music ’til they listen to it in a video game. Right, well, that’s where they spend all their time, in that environment! Let’s continue with orchestral music, and let’s jump to live film music and especially to film music festivals. 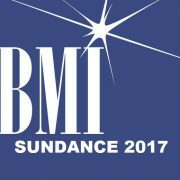 There’re many film music festivals going on, especially in Europe, and I see that BMI is involved in all or in most of those festivals. What can BMI do for those festivals? How do you help those festivals go on? Well, for me, I followed my composers and wherever they ended up in these situations. I mean, ten years ago or maybe a little bit more than that, you could organize a concert of film and TV music and nobody would care, nobody would come. And suddenly these started to percolate, especially in Europe. And my guys, and Rachel Portman (*laughs*), would be invited to participate, to have their music played live. So, how could I resist? So, I started coming… and I think the first one I attended was Ubeda in Spain. Let me check my notes…. was it the second edition? 2006? Yes, it was the second edition. It was John Frizell who was there for the first edition, who talked me into actually coming to the second. Brian Tyler was also at the 1st edition, and John Debney was at the first edition too. I wasn’t there that year. But I came because of Basil and the fact that that organization had developed something called the Jerry Award. Yeah, the Jerry Goldsmith Award. Which was carved into the likeness of Jerry Goldsmith. How could I resist that? So what did I do? I became a partial liaison to Basil, who was ill at the time, and was trying to figure out if we could actually make it to Spain to do this. I became a sort of go-between to try to see if we could facilitate that happening. I told Carol (Goldsmith) that I was going to go and that they had invented this award in Jerry’s name and that she should probably go, and she said, “If you’re going, I’ll go”. And so I helped them go and got Carol to be there for that. You know, it became this incredible epic experience for Basil to see his music live, and to conduct his music performed by that orchestra in that gorgeous venue. People loved his music and loved him on that 2nd edition. They loved him and they bathed him in that kind of love, and that was what was so extraordinary, that particular festival was organized by film music fans from all over Europe especially. This was like the first time that I really saw these guys (*film composers*) going out among their following. They would sit and sign autographs for hours. These guys are invisible. They would walk down the street and nobody cared. But at Ubeda for those few days they were like rock-stars. They would get up to go to the bathroom and get applause. And that was so heartening to witness. Especially in Basil’s case, since he was so sick, and since he died shortly thereafter. That became a really important wash of love. It was video-taped, and actually was something that he watched quite a bit in his last days… Just listening to that crowd cheering his name (*Basil, Basil…*). We’re all babies inside and we all just want to be loved, just want to be seen and appreciated. And that was the most beautiful example of that coming from the crowd. It became really meaningful. There was true love there. True sentiment. So that was my first, my first taste of it. Well, they’re all a little different. They all have their reason for existing and their individual financing and so on. But it was just, for me, personally, incredible to flow with this growth of appreciation for this kind of music and various forms of live performance. Then the live orchestra to picture became something that certain films fall into. That’s taken up in America, probably more than any kind of festival situation. And then there’s hybrid concerts, that have to do with picture and live orchestra and live singers and different animation elements. And it’s all sort of, again in that fluidity, it’s all developing, and morphing, and growing. But this has gone on for over a decade now, and it’s just wonderful that these places exist and that the music has spread. 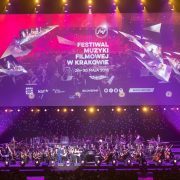 I was in Krakow a few years ago in the big arena with 15,000 fans going crazy over television music: I mean Dexter, and Chicago Fire, and House of Cards, and Game of Thrones, and stuff like that. But we couldn’t believe that there were 15,000 people in Poland that wanted to listen to this! Yes, I know! (*laughs*) It just was mind-blowing and I’m so grateful. So I come to try to be supportive. I’ll often do seminars when I’m invited to these places, so that we can talk about career development and speak on behalf of the industry to the developing local communities of composers, or do classes at schools or do Q&As with some of the composers that are involved. I seem to do a lot of moderating of that kind of panels. So I try to make myself useful, but my main reason for being there is to support the composers that we have and that are there. I think you have to know yourself, and not everybody would take the same path. Depends what your dream is. It depends what you’re attracted to. 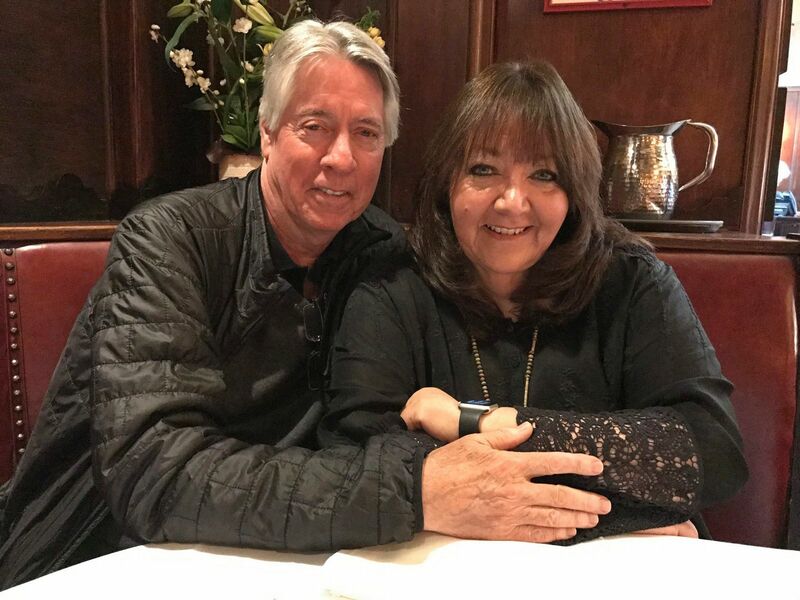 If you’re looking for an alliance with original storytellers, more authors, people who have a much more independent vision of how they want to express themselves, then you would go one way. You would be trying to connect yourself to those communities, to find those people to partner up with and start with, maybe for a while, because there’s not a lot of money involved in that. But that is a different path, than if what you’re really drawn to this big orchestral, mainstream Hollywood kinds of filmmaking, because that isn’t the world of Indy storytelling. That means you have to find your way into a different circuit. And maybe the way to do that would be to work as an assistant with some composer who’s already working in that environment. Having technical skills tends to be a virtue if you’re looking to go that way. But, you know, that’s a different kind of path, and depending on what your emotional temperament is and your talent is, it may or may not be for you. So it just kind of depends. Like I said to start with, there’s no one way. Or you can also look at somebody’s career you want to emulate. If you would love to have a career like Alexandre Desplat‘s, then you have to look at what it is about Alexandre, and what choices did he make, and why did that happen for him. And the truth is, in his case, he’s a cinephile. He not only is musically trained and amazing, but he loves cinema. Alexandre was head of the jury of the Venice Film Festival a couple years ago, and that was the first time a composer was ever in that seat. It was a seat that Bernardo Bertolucci had occupied the year before. And they didn’t put him in the seat because he was a great film composer, they put him in the seat because he was a cinephile really steeped in the history of Italian cinema, and he could talk about that, and he can hang out with Roman Polanski and talk like two storytellers coming from that kind of rich background. That’s something to think about, as you look at the kinds of filmmakers that are attracted to working with him. It’s not just about the notes, it’s about him and his expertise in all those other areas. How to tell a story like a filmmaker. He’s like a filmmaker in his head. I’ll often go out to speak at some of the major film scoring programs and again, after I’ve asked people to tell me three sentences about themselves, I’ll often ask them, “Who’s your favorite filmmaker?” And often there’s a deafening silence, and then somebody will stutter out Steven Spielberg‘s name because everybody knows that one. And my point being is more often than not, those students are so concerned with the music, that they’ve forgotten to really learn about the landscape that they’re trying to work in, which is film. And when I say film I mean any visual media. That’s kind of a missing element. So if I had recommendations for young composers, it’s that if it’s games, go really learn games, if it’s film, go find what you really love in film and watch all those movies. Really teach it to yourself, so when you get in the room you can talk like that. We’re running out of time, so let’s go with the two final questions… First one, it’s about something you mentioned earlier. You mentioned that there are fewer women composers at this moment, but there are many initiatives going on trying to give women the same career opportunities. So, in which point do you think we are now, and which initiatives are going on, that could help to balance that scenario? I think that it’s time for women to get out there, and they are getting out there. I think that the whole community suffers from a lack of role models for them in this environment. I go out to these schools like I talked about, and if there were twenty-five people in the class and three of them where women, that was a good ratio. Not really, but that was typical. Now I see that changing. Now I see that women composers are really forming alliances in different groups, and putting themselves out there to show other women that this is a viable career path and that it can happen. I hear heads of music departments at studios wanting lists of women, they’re looking to hire women. This is all really good. We have always at Sundance, in the lab, in this incarnation which has been going on for about twenty years now, we’ve always had an agenda of inclusion, and when we’re casting those few positions for fellows in the lab, we’re always looking for women. This past year we had that over fifty percent of the fellows were women. And frankly, I look around rooms often full of women composers and go… Okay, where did they come from? And I’d say half the room is filled with past Sundance lab grads, and they had gone through that program and gotten a leg up. So the point is not to brag about Sundance so much, as to say that everything that anybody in their position can do to help, to change the population, to encourage women, to include women, to give them a step up, to support them, to hire them… Makes a difference! Each little bit of that, changes the population of the community all the time. Fantastic. So let’s hope that we get more and more women over time, because the more diverse is the scenario and the more voices we have… it’s better! Absolutely! That’s why I’m so thrilled to be here because Laura Karpman is part of this festival, and she is being honored here tonight. And now let’s go for the final question, which is about John Williams, my idol. Well, everybody’s idol, or nearly everybody’s idol. This year 2018 at the 34th annual BMI Film, TV & Visual Media Awards, you presented the 1st edition of a new award, the John Williams award (link to news), that was for John Williams, of course. I mean, it’s quite obvious. The first John Williams award goes to John Williams. (*both laugh*) So, if I’m not mistaken, I saw that you were organizing the event and that you were an important part of the night. How was to build up and produce such a special event? That was actually a wonderful experience. We’ve honored John in the past and we’ve honored him for his body of work. I’ve done those clip reels of his body of work and done interviews with Spielberg and all the directors that he’s worked with and taken it from that angle. This year he’s hit such incredible strata at 86, to be at the top of his game, to put him in a league of his own. And this year when we did our reel for him, instead of going out and interviewing his directors about what it’s like to work with him, I went out and interviewed all of these composers who are on the top of the A-list themselves, but who owe a debt of gratitude and who feel the same way you do about John, and gave them a chance to say that on film. It was like a loving roast more than anything else. So the community just hugged him. They just really embraced him and loved him up and he loved them right back. It was just such an incredible night cause he’s always so eloquent, and generous, and gracious in what he had to say back to everybody. It was just unbelievable. I listened to his speech. I think it’s wonderful to have such kind of honoring celebration ceremony while you are alive. Because many times those things are happening when you are not here. And this one happened while he was here. So that makes it even more special. Yes!! I think that there’s something to learn from that in the bigger picture: If you love somebody, tell them now! That’s it, don’t wait. Don’t wait! And to end this interview, any final thoughts, ideas, or something you would like to share with us? Now is your turn to say whatever you want! Well, if you’re a developing film composer, I think you also need to be a bit of a developing filmmaker. And I think that you really need to understand how to tell a story. And there’s no excuse, you have Netflix, you can go and find somebody’s film who you really love, and now go home and watch every movie that person’s ever made. So just pay attention to what it is that you love and go educate yourself. Not just about music, because you’re not just making your own records. You’re working together with a team of people who are storytellers. You need to soak that in, and that will make all the difference in the world when you go into that meeting, and have that frame of reference, and can speak from there instead of just your musical ideas, which better be awesome. So never stop learning and learn to be a filmmaker, not only a good composer. That’s good advice. 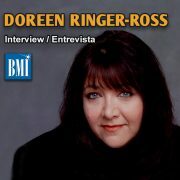 So, that’s it, Doreen, thank you very much for your time and keep doing such a good job with BMI and all the composers and festivals you support! Thanks to you. It was really interesting to share so many stories and ideas with you and your readers!